size: 176*124mm; 319 pages. publisher: Nulbom, 2002. What are the best 10 things in Korea? 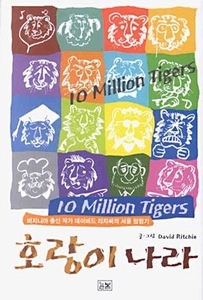 According to the author David Ritchie, they include safe streets, Kimchi, bookstores, radio, store signs, trains, waffles, coffee shops, and Mandu. You may agree with him or not. But it's undeniable that some of them are truly good things that foreigners can enjoy only in this country. The journalist-turned author, who came to Korea in 1995, enumerates advantages of living in Korea with a very keen and enthusiastic perspective. Is he objective? Of course not. But his views are so unique and confident that even Koreans take a second look at their own daily life with refreshed eyes. Ritchie talks about everything, such as advertising stickers, small alleys, and making friends in the street, in his nearly 80 short essays. The essays are in both English and Korean. The U.S.-born author has so far written 17 books and now has an editorial job with a publisher in Seoul. 1. Seoul-We Can't Stop Loving You. 2. Can the Mayor of Seoul Know About This? 5. Seoul, "the Miracle Wonderful"
7. I Do This Kind of Work. Anyway Sorry!